The HomeSaver Pro is made of 100% 304 stainless steel, right down to the set screws. The one piece 8" high screen is a heavy 18 gauge 3/4" mesh, the top is hand finished with a rolled edge. The sturdy base also features a one piece design and includes weld nut technology to prevent stripped screws. 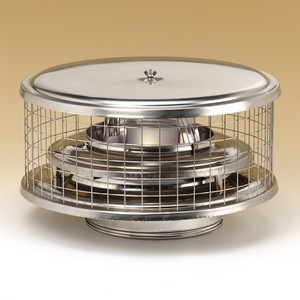 The HomeSaver Pro cap is specifically for factory built chimneys. 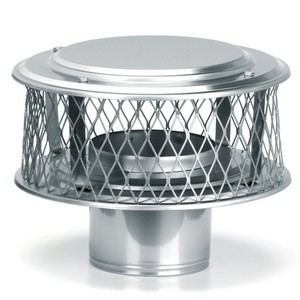 This is a great cap providing larger spark arrestor reducing chances of cap buildup while providing all the required protection for air insulated or solid pack chimneys without attaching directly to the pipe. This is the cap to use even for the outdated "triple wall" chimneys still in use. 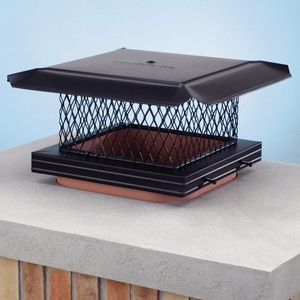 The HomeSaver Pro Galvanized cap is a great solution to protect your chimney while saving valuable dollars at the same time. This cap comes with a lifetime warranty on materials and workmanship and a three year warranty on rust through.